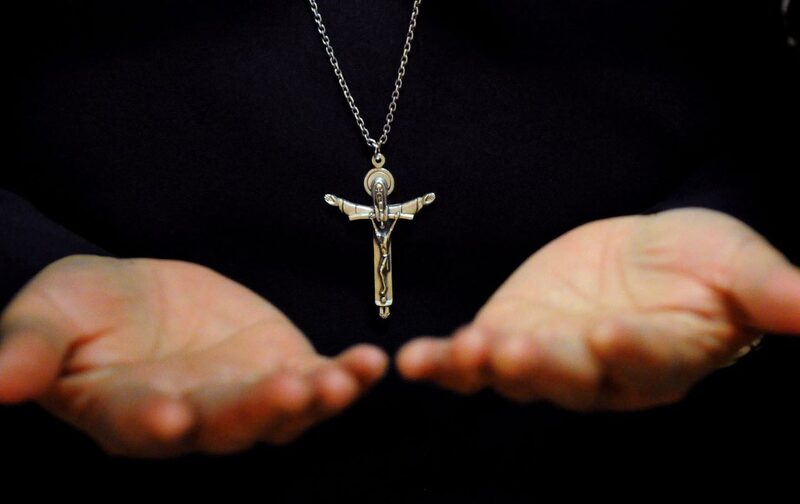 Could your right to join a union with your coworkers clash with your communion with God? A recent crisis of faith at the National Labor Relations Board presents some tough lessons for the academic labor movement. Although the non–tenure track faculty members at Seattle University scored the board’s blessing for their hard-fought union vote, with a 73-to-63 majority approving unionization with SEIU, some faculty were excluded from the process by divine intervention. The majority of the board ruled 12 faculty had jobs that were, in essence, too religious to unionize, and another 15 votes were challenged on similar faith-based grounds. The ruling cited a crucial precedent that allowed faculty unionization at Catholic schools generally, but barred faculty holding “a specific role in creating and maintaining the school’s religious educational environment” from joining a collective-bargaining unit representing non-religious faculty. The logic is that a traditional collective-bargaining relationship would be incompatible with the supposed theological mission of religion-focused educators. But the problem with institutions like Seattle University, which also runs secular programs, is how to draw the line between religious and non-religious work—and why should union rights depend on whether an educator teaches theology or biology? The excluded faculty members taught in the School of Theology and Ministry and Department of Theology and Religious Studies within the College of Arts & Sciences. According to the final ruling, the programs included courses like “Between the Bible and the Quran,” and the School of Theology granted degrees in divinity and ministry. The board issued a similar ruling simultaneously in a case involving St. Xavier University in Chicago, deciding that “part time faculty in the Department of Religious Studies [were] performing a specific role in maintaining the university’s religious educational environment.” In both rulings, the board noted that the faculty’s teaching qualifications typically included special training in the “Catholic tradition,” or background as Jesuits. Though there have been many constitutional disputes over the rights of lay workers at Catholic educational institutions, the Pacific Lutheran decision opened the door for broader organizing for the academic labor movement on private-college campuses. While adjunct-faculty unions remain relatively rare in this sector, the ruling did open a limited path to organizing at Jesuit schools, folding into SEIU’s Faculty Forward initiative to organize overworked and underpaid contingent faculty nationwide. remains concerned about the precedent and impact [NLRB] jurisdiction would have on our ability to carry out our core mission free from government intrusion. For example, would the university have to hire faculty hostile to our Jesuit way of teaching and Catholic identity? Academic-labor advocates say Jesuit schools are hypocritically exploiting their religious identity by accepting the union rights of a history professor who teaches courses on Latin American social movements, but not those of her colleague who explains liberation theology in religious studies. However one interprets the “Jesuit way of teaching,” lost in this debate is the question of academic integrity. Does the religious content of a professor’s coursework always determine their right to collectively bargain? Why should one group of educators’ religious duties force them to labor under markedly different, perhaps less secure conditions? And can they feel secure challenging the administration about workplace issues without full support from their colleagues’ union? If anything, the Jesuit tradition, which has always been concerned with questions of social justice and ethics, could arguably be seen as more pro-labor than a typical secular private university. Still, the unionized non-tenure track faculty remain hopeful that their contract will raise working conditions for all faculty, including those excluded from the unit. To associate humanities professor Emily Lieb, the administration’s true motives were betrayed when it tried to vet professors’ coursework to determine religious content. Although she teaches the history of public-welfare policies, she says via e-mail, “the university’s lawyers challenged my right to vote on the grounds that these courses have too much religious content. I am the only historian whose vote was similarly challenged, and the only person of several who teach sections of Poverty in America,” including a theologian colleague who was not similarly scrutinized. The question then turns on the central motivation of the administration: to serve a higher power or the bottom line? In the education tradition that gave us liberation theology, teachers’ freedom to organize is inseparable from the pursuit of truth. Note: This article was edited to include correct figures for the final vote: 15 ballots were challenged on religious grounds, but 12 faculty were completely excluded from the bargaining unit.